The average dumpster load is like an archeological dig. You never know what's in there. Old rugs. Scrap wood. Uncle Elmer’s bottle cap collection. But sometimes, you have a huge load of one thing. Dirt from your extensive landscaping project. The concrete chunks you j-j-j-jackhammered out from your old patio. Shingles from a roofing re-do. That's called a straight load, also known as clean fill. We know — calling a bin full of dirt “clean” seems like a misnomer. But in dumpster lingo, clean means you know exactly what you're getting. No rusty nails mixed in with the concrete. No pieces of wood in the load of roofing shingles. Bin There Dump That operators are happy to take your straight loads of material. But there are a few things you should know about this dumpster rental FAQ. 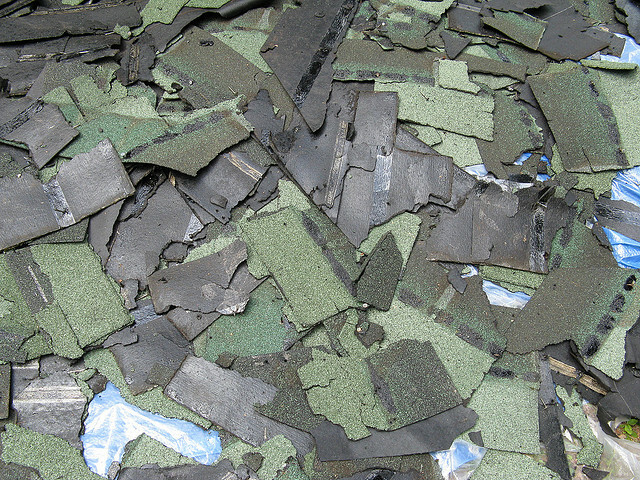 Many landfill operators have special pricing for straight loads of material. Depending on what you have in there, a straight load can cost less to dispose of than mixed a load. So in order to give you accurate pricing information, your local Bin There Dump That operator needs to know if you have a straight load of material, and exactly what it is. Tell us when you call. Local Bin There Dump That operators determine their own pricing. Some franchises charge for the bin plus its weight. So the heavier your items, the more you’ll pay. 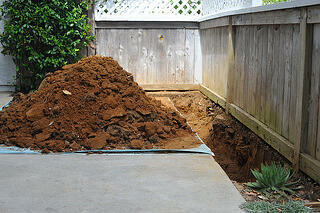 Straight load materials — tile, concrete, shingles — tend to weigh more than items from a typical attic clean-out. If your rental location offers “all-in” pricing, that price tag usually includes approximately 1 to 2 tons of junk. The heavier items in straight loads could exceed that weight limit. But if landfills in your area offer discounts for disposal of straight loads, that could reduce the price you’ll pay. That's why it's important to talk to your bin operator about your materials before you rent your bin. When you talk to your local Bin There Dump That operator about your straight load of materials, they can also help you figure out what size dumpster bin you’ll need to hold it all. The 4- and 6-yard dumpsters are a good fit for small jobs — maybe for all the old tile from your kitchen and bathroom renovations. The 9- and 10-yard bins are our franchise operators’ most commonly requested sizes. Putting on a new roof? Removing a patio? A mid-sized dumpster is likely a good fit for your project. The 14- and 20-yard dumpsters are for the largest projects. Because straight loads are typically heavy — concrete, roof shingles, soil — they aren’t meant for these largest bins. The loads would be too heavy. You can always rent more than one smaller bin if you have an oversize load of material. An important reminder: Whether you have a straight load or mixed materials, not just any material can go in a dumpster. Household hazardous waste isn’t allowed. That means no propane tanks; ammunition; leftover paint, paint cans or paint thinner; stains and varnish; household cleaning products; batteries; fluorescent light bulbs; tires, motor oil, gasoline or antifreeze; aerosol cans; pesticides and fertilizers; pharmaceuticals and bio-medical waste. If you have a straight load, chances are there’s back-stressing labor involved. 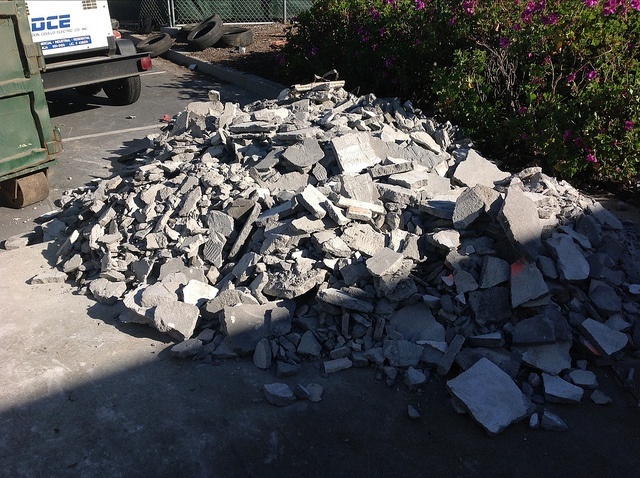 You’ve been carrying piles of tile, loads of roof shingles and really heavy chunks of concrete. When it’s time to hoist that load into our residential-friendly dumpster, we make it easy. Carry those heavy items directly into the dumpster bin through the convenient rear doors, instead of hoisting them up over the sides. Questions about straight loads — or any other dumpster rental FAQs? Contact your local Bin There Dump There operator. They’ll give you straight talk about straight loads.